Can you remember the first video game you've ever played? 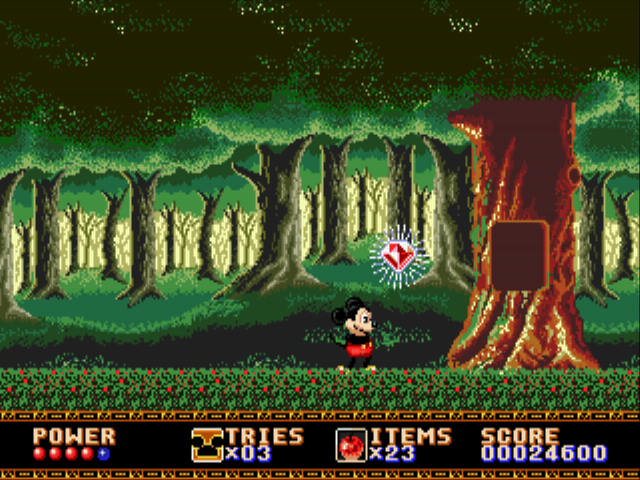 I think I recall the first video game I played was Castle of Illusion, starring Mickey Mouse, on the Megadrive, also known as the Sega Genesis. Looking back, it was pretty bad but I loved it at the time. I think the first video game I might have played was NBA Street or NBA Live or maybe even Crash Badicoot. It was both Sky Blazer and Super Mario Kart for the SNES for me. Good times. I'm not sure on exactly which game was the very first one I've played, but the earliest ones I can remember playing are The Legend of Zelda: A Link to the Past, Super Mario Bros. 3, Super Mario World and Final Fantasy Mystic Quest. It would be one of those four, but I can't tell you which was it for sure. I think the first game I ever played with a game on PC called Chip's Challenge; I used to play it all the time as a little kid with my parents. I also loved Unreal Gold, another PC game my parents let me play with them (although I was 5 at the time and it would scare me lmao!). My first console game was Spyro 2: Ripto's Rage on ps1. My Pokemon obsession started around the same time. I wouldn't be able to recall which specific title, but my first 'console' was a TV Boy, which is basically an emulator that ran Atari 2600 games; it came pre-installed with 127 different ones, and goodness knows which of them was my real first. The first that I remember would definitely be Columns, or the Sega Mega Drive. It was part of a 6-game cartridge that also included the first Sonic the Hedgehog, and by far my favourite Mega Drive title, Streets of Rage.